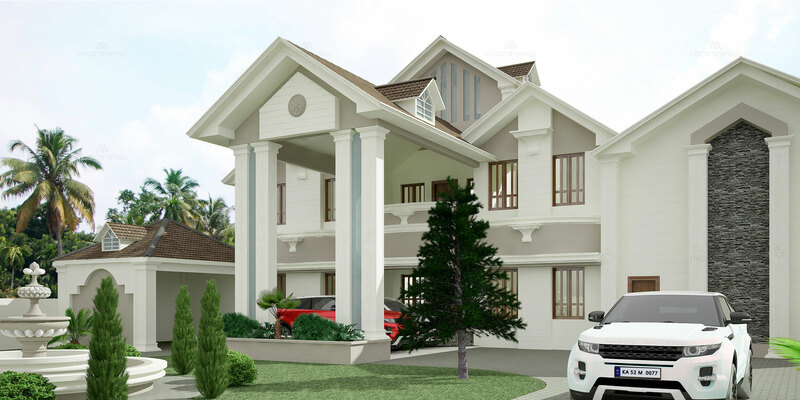 This Mansion style House is enticing and charming, this home is a wondrous sample of a royal mansion that will entice anyone to praise on its sheer splendour. The elegance comes alive with colour choice of beige and brown. The total land area is 25 cents with a built up area of 7500 sq. ft. with 4 bedrooms and a courtyard.